Determine the Cause of your Bloating and Eliminate it at the Root Using Readily Available Home Remedies. 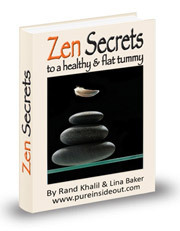 Find out what is causing your bloating and address the cause to achieve long-term relief. Determine the cause of your bloating and eliminate it a the root using readily available home remedies.